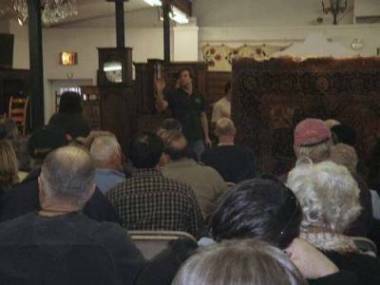 Gallery, Inc. has been conducting auctions of estate merchandise and antiques in the upper Hudson Valley and Albany area since 1984. 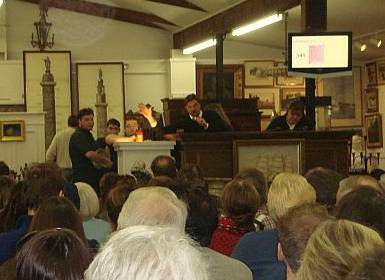 We are one of the oldest established auction services in this area. 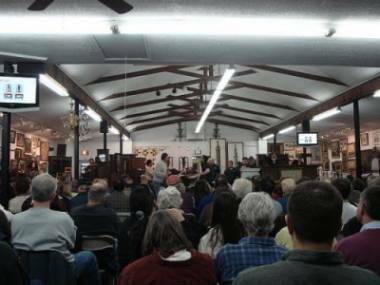 Carlsen Gallery, Inc. is a 5000 square foot full service auction facility, with all the amenities. Our auctions are fully computerized offering many important options for the customer as well as the consignor. Our mailing list consists of a database of over 2000 active customers. Customers are primarily from metropolitan and Upstate New York, New Jersey, Connecticut, Massachusetts, Vermont and Rhode Island. We often have telephone and absentee bidders competing from across the country and Europe. Our extensive advertising includes our website and over seven daily newspapers, as well as weekly and monthly publications. We pick up merchandise, catalogue it, store it, insure it, photograph and repair it, when necessary. Our auctions are considered special events and each one is dealt with in the unique manner in which it deserves. We are fully insured and have the ability to be bonded for any amount necessary at any given time. References can be supplied upon request. We have on-site catering provided by Ventura’s Catering. An assortment of snacks, sandwiches, pasteries, and refreshments are always available during our auctions. Ventura’s Catering is a local company based in Greenville, NY that provides catering for Special Occasions, Weddings, and Private Parties. You can reach them by phone at (518) 966-8034.